Just a quick post to share this picture. A few friends on Facebook shared it and I thought it was perfect. 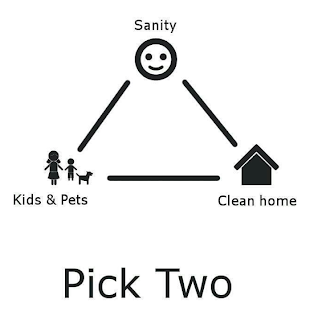 We all know that I struggle to keep a clean house, and we also know that I struggle to stay sane. And it's true. Sometimes when I feel like I have a clean house and a good balance, I realize that I haven't been spending as much time with the kids as I should have. So without further ado, here's the reason why my house is a disaster. 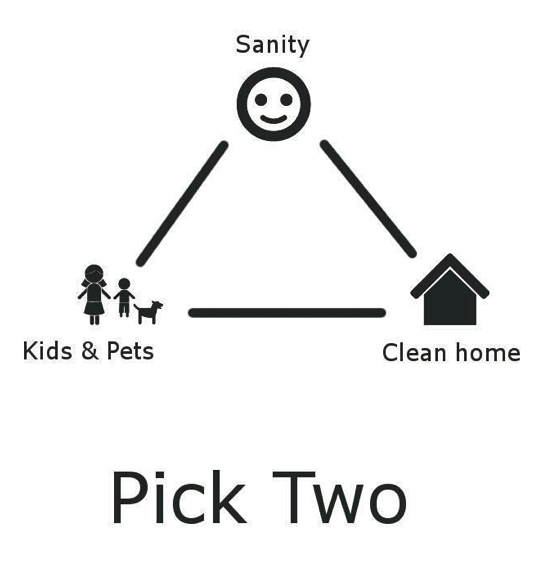 Although I should also add that I just CLEANED my kitchen, like CLEANED it, swept floors and vacuumed the playroom/living/dining rooms. About to go mop the kitchen and then cleaning is DONE for the day. All thanks to nap time and educational websites. I feel for anyone with a child who doesn't sleep.